Who says you can’t put time in a bottle? 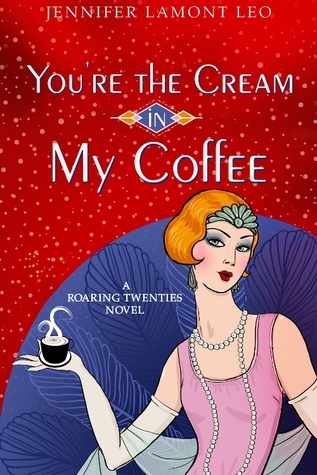 Catch a whiff of the Roaring Twenties. Read on to learn how. Jennifer Lamont Leo’s Reader Community recently passed the 2000-subscriber mark! To celebrate, I’ll be giving away a half-ounce bottle of 1920 Fragrance from Besame Cosmetics. Specifically, 1920 contains top notes of mandarin, juniper berry, and galbanum; heart notes of jasmine, violet, muguet, and suede; and base notes of cocoa, myrrh, amber, and musk, all packaged in a beautiful glass vial with rollerball applicator. This giveaway is open only to subscribers of my Reader Community. If you’re not subscribed already, you can do so over on the right. Then come back here and leave a comment about why you’d like to win a bottle of 1920. One winner will be drawn at random on Mothers Day, May 13, 2018, from among subscribers who leave a comment (to make sure it goes to someone who truly wants it). I’m sorry to say that, due to international shipping regulations, this giveaway is open to U.S. residents only.